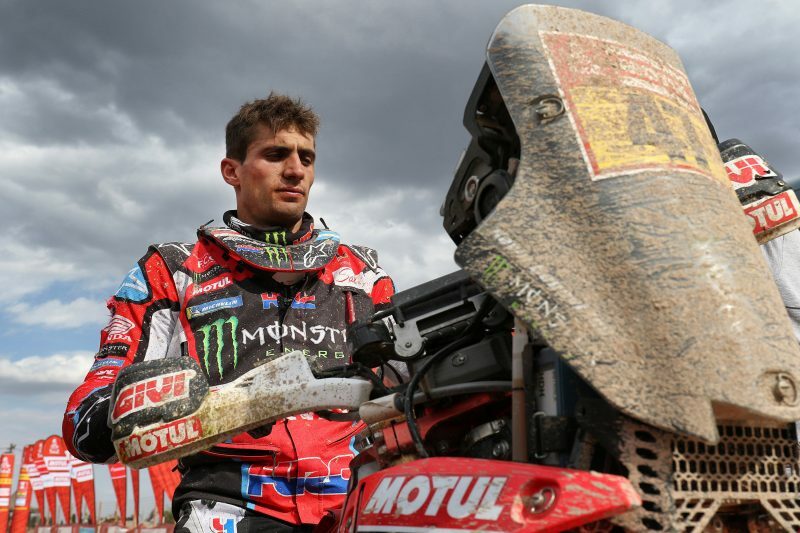 Kevin Benavides keeps all options open in the 2018 Dakar after a gruelling stage in Fiambalá that saw Joan Barreda abandon the rally after one too many falls. Ricky Brabec and Nacho Cornejo also feature in the overall top ten. 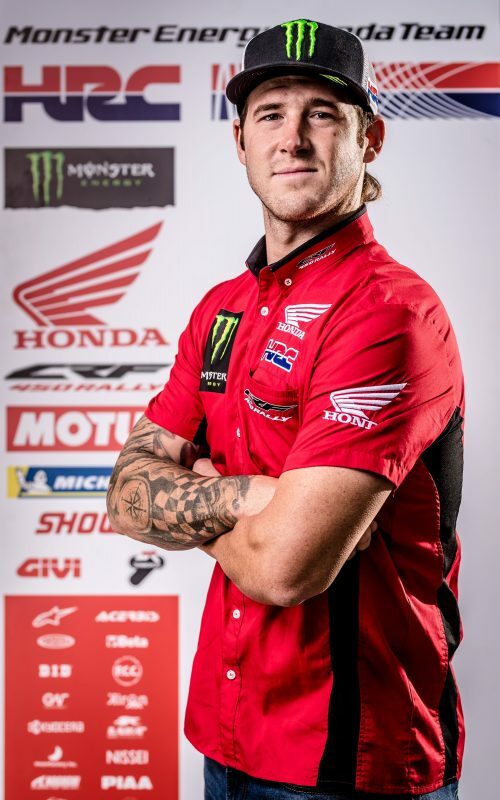 Today’s rider starting order was dictated by the overall results of all vehicles yesterday, which mean a mixed start that featured several cars and trucks interspersed with the motorcycles on the track. 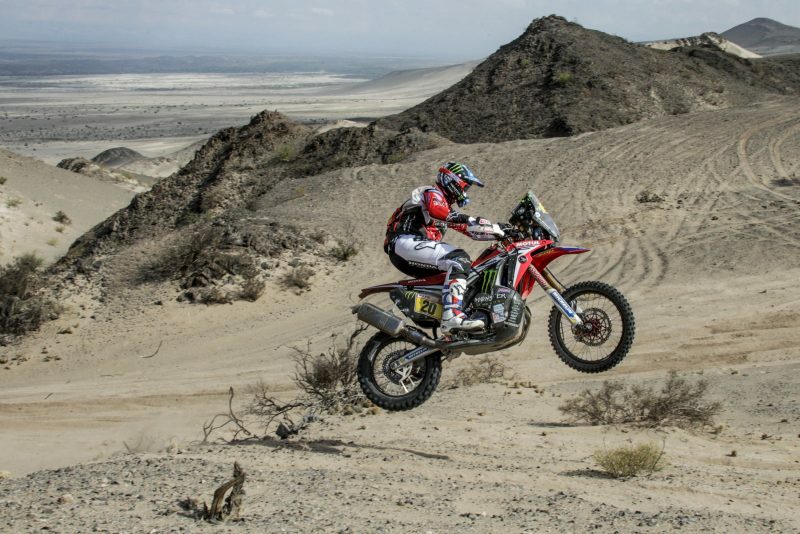 This posed a serious disadvantage as riders were faced with heavily rutted tracks devastated by the passage of the larger four-wheeled counterparts. 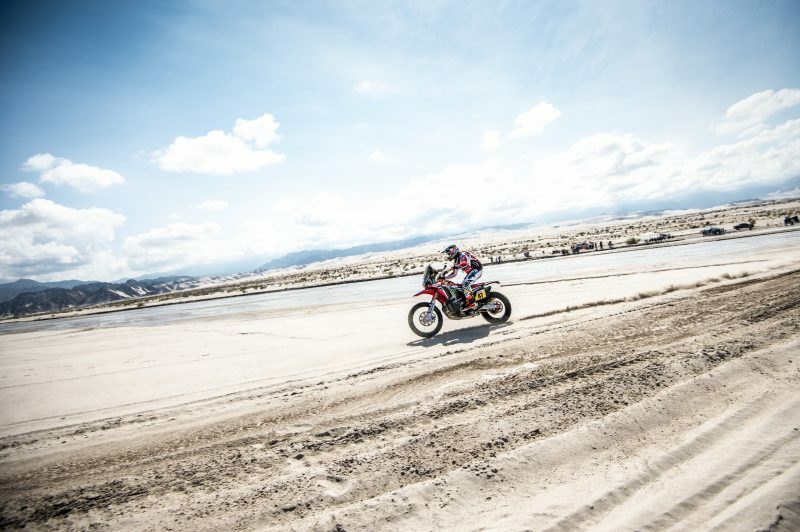 Yet the riders of the Monster Energy Honda Team were up to the challenge and battled against all odds to reduce the distance with the front-runners. The eleventh stage consisted of 485 kilometres in total between Belén and Fiambalá, with 280 km against the clock. 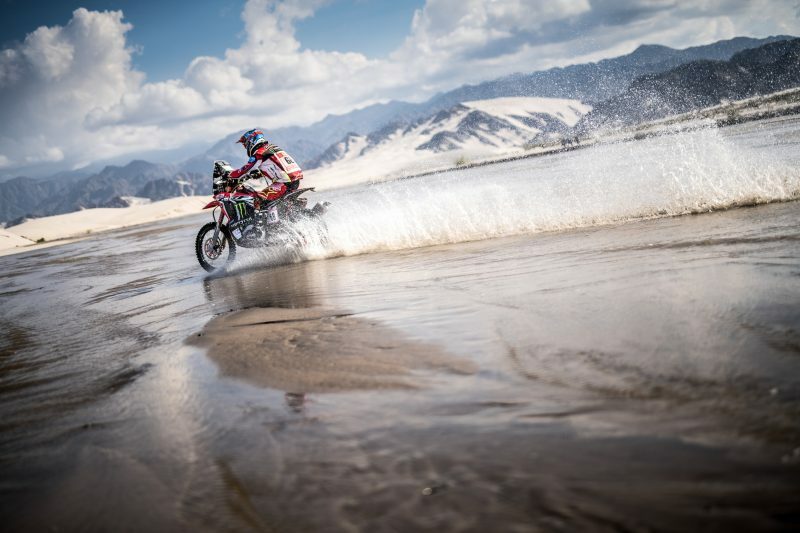 The day’s special stage included an early stint in broken-up dry river-beds with some trial-style riding and various treacherous zones before the race arrived at the first stretches of sand and dunes and their correspondingly demanding navigation. With the dunes out of the way, it was back to a combination of fast, broken tracks before reaching the Fiambalá bivouac. 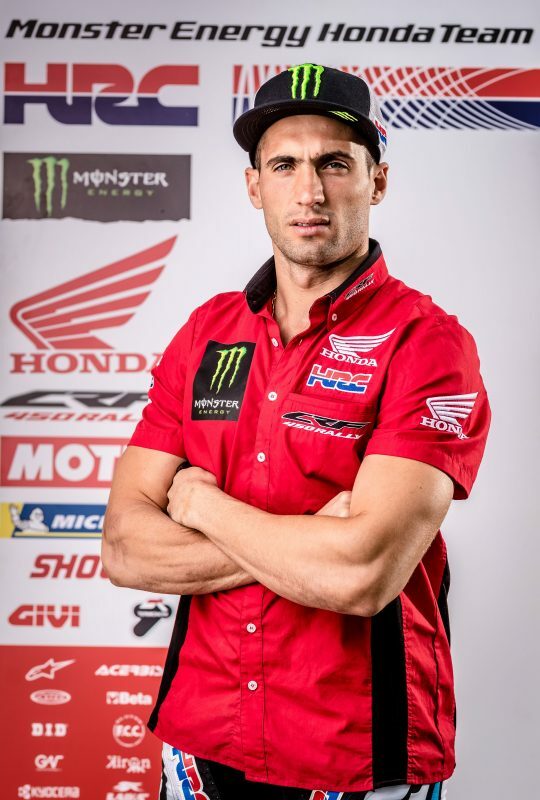 Today Kevin Benavides, in spite of starting out behind the cars and trucks, was in gung-ho attack mode in an attempt to claw back some of the deficit from the overall leader in the general standings. By the end of the day, the rider from Salta had crossed the line in second place, eating some nine minute into the lead of Walkner, leaving the overall distance between the two in the provisional at 32 minutes. 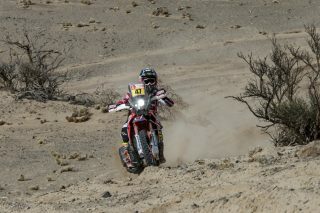 A fine performance from Ricky Brabec, who finished fourth of the day and climbs to sixth place in the table. 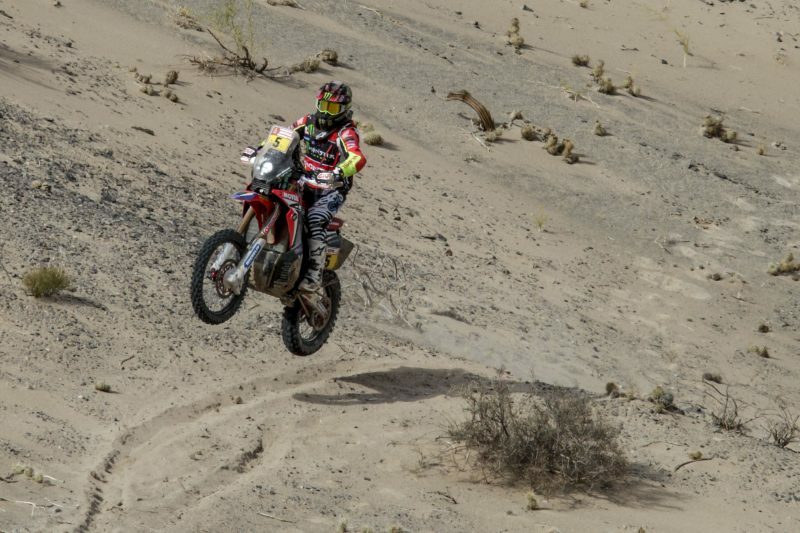 Likewise, Chilean José Ignacio Cornejo rode a solid first leg of the marathon stage to post tenth position on the day and ninth in the general rankings. 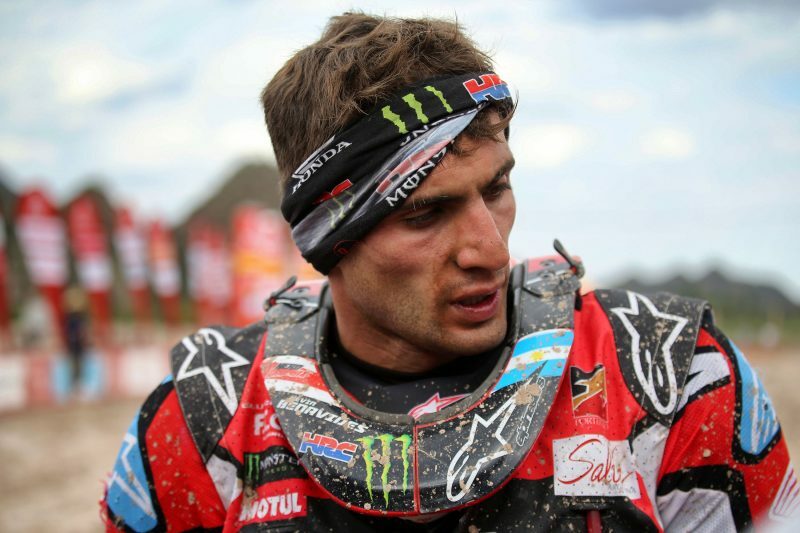 Joan Barreda has retired from the 2018 Dakar whilst still holding second position. 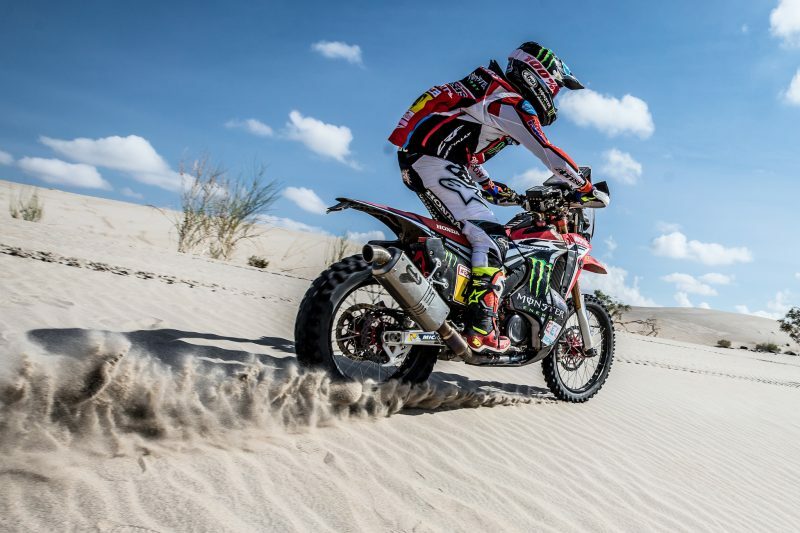 After having suffered several falls in some of the earlier stages of the rally and punishing his body severely, the exhausted Spaniard made the decision to completely withdraw. 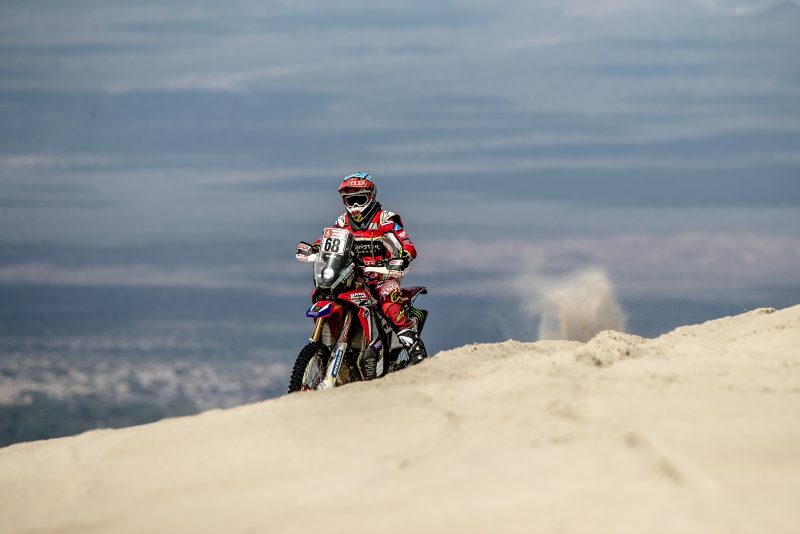 Joan had started the rally with a nagging injury to his left wrist, before falling heavily in the seventh stage, La Paz – Uyuni, where he sustained a damaged left knee. 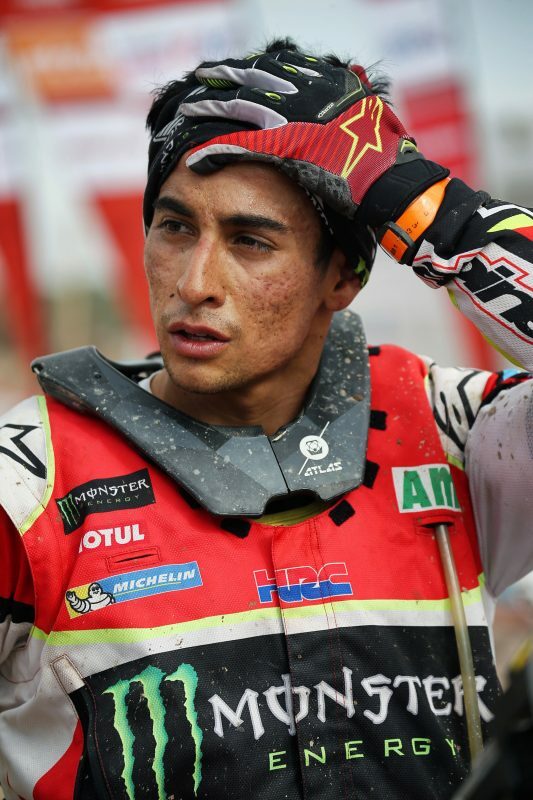 Despite the pain, Barreda soldiered on the following day to hold on to his top five place. Yesterday, on the route of the tenth stage from Salta – Belén stage, Barreda suffered concussion in the head. 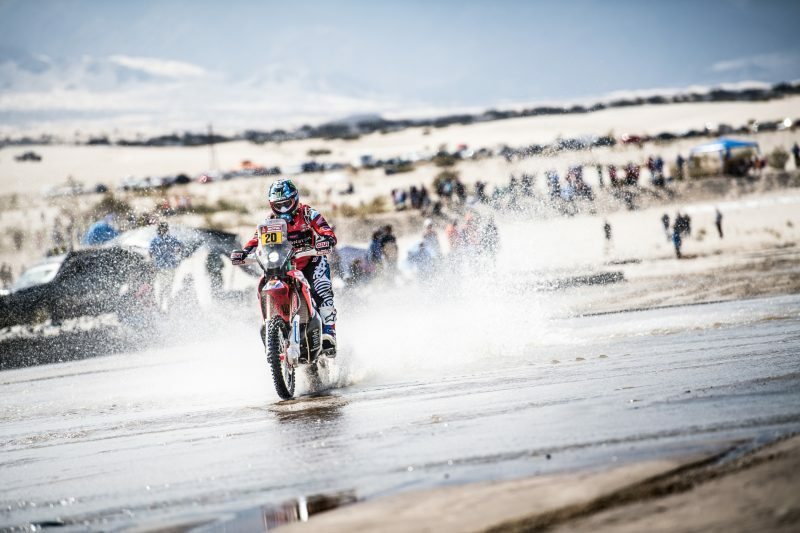 The rider, still determined to defend his overall second place in the general standings, was forced to call an end to his seventh campaign, which is living up to its name as the ‘World’s Toughest Rally’. Barreda goes home with three stage victories this time and a total of twenty-two in all his Dakar participations. 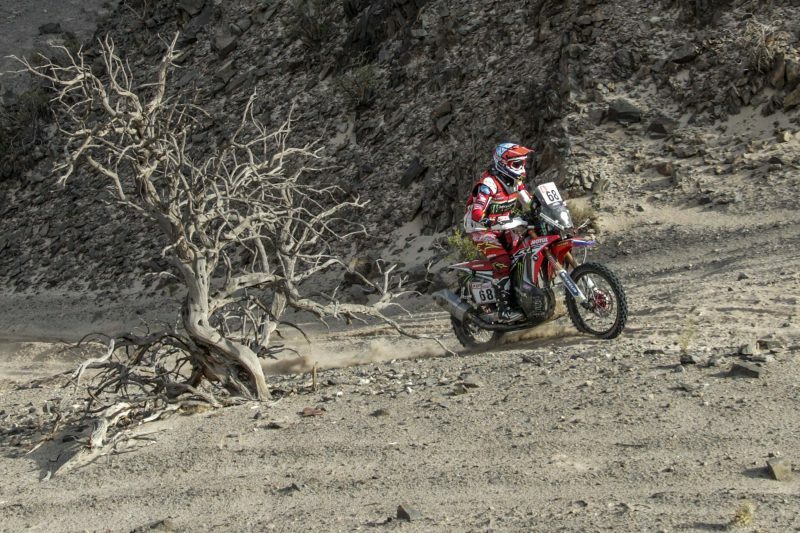 Today’s stage eleven was the first part of the rally’s second marathon stage (for the motorbikes) which means that there will be no mechanical assistance available from anyone other than the riders themselves. 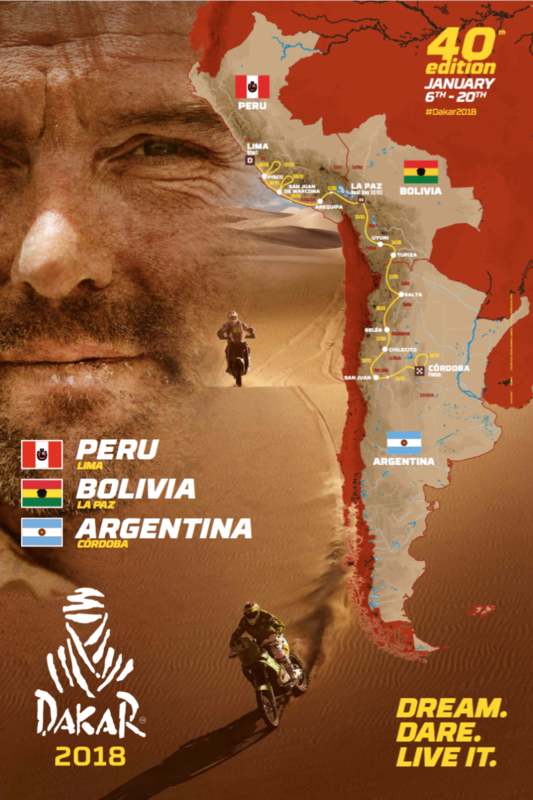 The rest of the teams have all moved on directly from Belén to Chilecito. 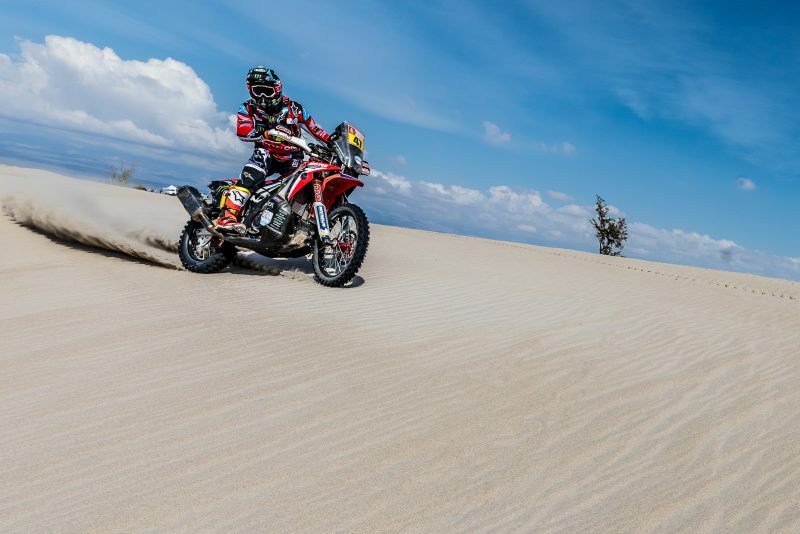 The entourage will leave the small town tomorrow and head to San Juan to await the arrival of the riders who en route will have to overcome a total of 723 kilometres, including a reduced special stage of 288 kilometres and 426 kilometres of liaison section. 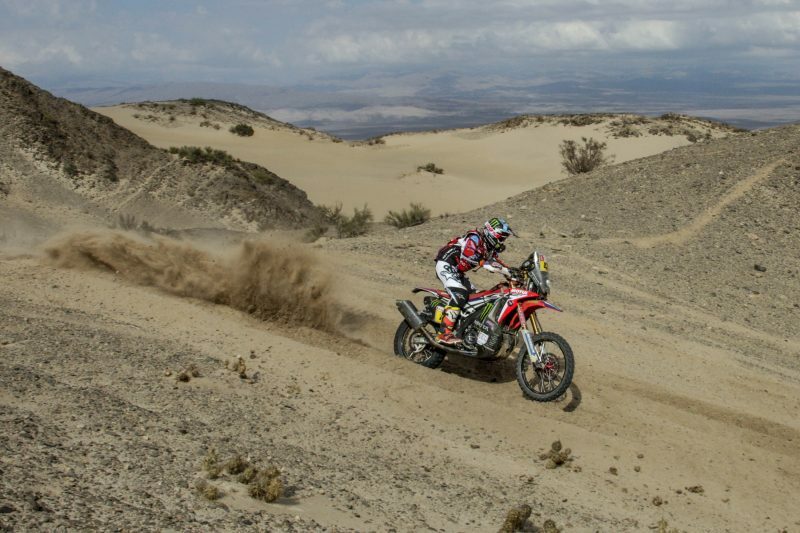 Riders can look forward to stony track and areas of navigation. I couldn’t take it anymore. Since I fell and hit my knee I have been suffering a lot in every stage. My knee was unstable and I had to change my position on the bike but even that didn’t help. Today I reached a point where I couldn’t feel my leg any more and I think that, in spite of everything, the best decision has been to stop so as not to make the situation worse. 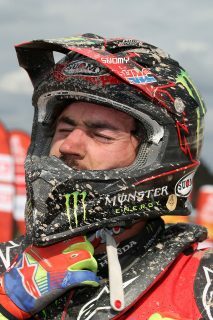 It’s a pity because I was second in the race overall, but I wasn’t in any condition to fight to win the races. Today we started a new marathon stage, the second of this Dakar. I am much happier than when I finished yesterday, which had been a nightmare to try to find that cursed waypoint. I feel fine; the bike is running really well too. 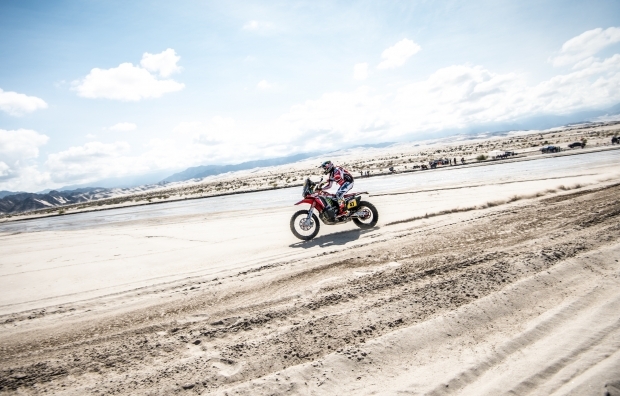 We will continue fighting to finish this Dakar as best we can. I hope Joan gets well and improves soon. We changed the chip after yesterday and we went out to push hard. I started out from a long way behind and I found a lot of trucks that had broken up all the track. It was a good result and we have reduced some time from the overall leader. We will continue pushing hard until the end. 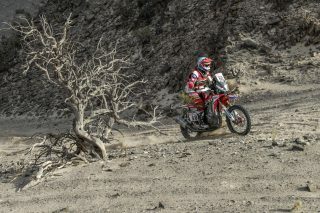 It was a hard day for Honda after finding out about Joan’s retirement in the eleventh stage. We also tip our hat to him for the valiant effort that he has made and the suffering that he has endured over recent days. 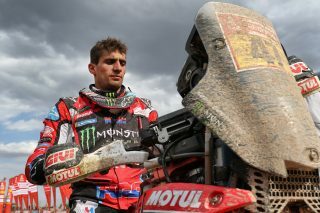 He’s done really well as he never stopped fighting to win this Dakar and was still second today in the general at the moment of abandonment. On the other hand, we have Kevin second in the general and closing in on the leader. We are satisfied with how he is handling the race so far. We will fight to the end with Kevin, Ricky and Nacho to achieve the goal of the team. 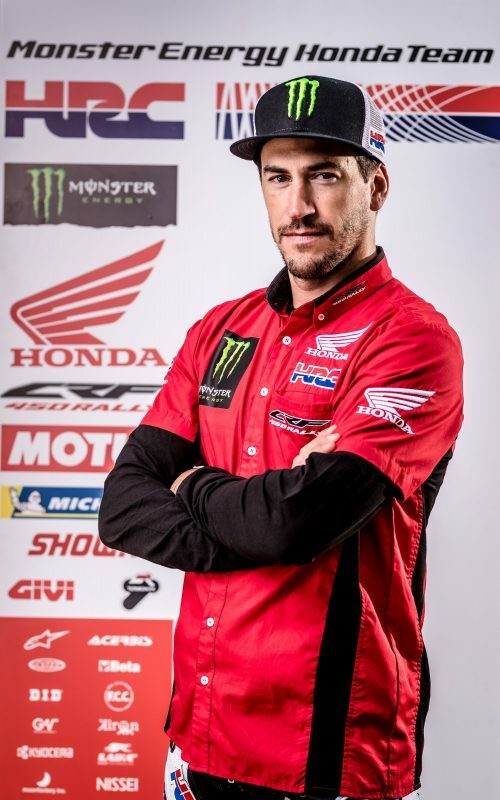 I want to thank the team for all the effort that has been made to this day; The Dakar is a very tough race that is exhausting not only for the riders, but also all the other team members. Thanks to all of you.